Posada is a Spanish word that means ‘inn’, and is also the title for a Mexican Advent celebration in which two people dressed as Mary and Joseph travel from house to house in their village to proclaim the imminent arrival of Jesus and request that the new-born baby be given a room. 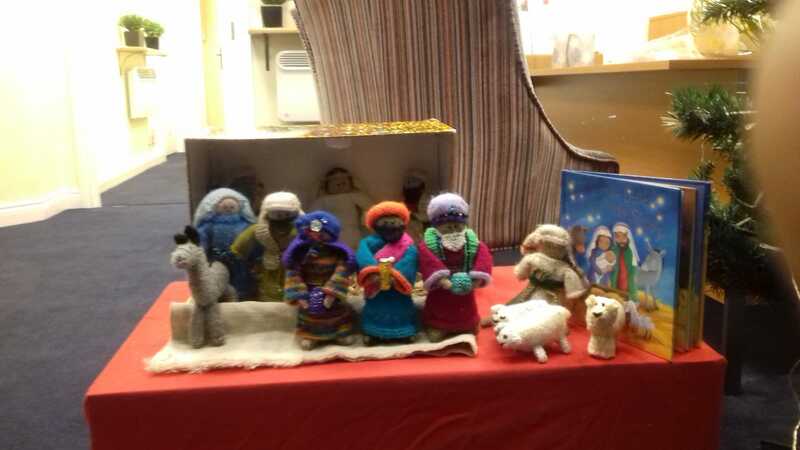 In UK, the idea has been updated so that knitted nativity figures travel around the parish from place to place, staying at a different venue every night, before taking their place at the church Crib Service, ready to celebrate the birth of Jesus Christ on Christmas Day. This year in Dedworth, Lodge Brothers Funeral Directors were pleased to be involved with the church and community in celebrating this lovely tradition, and gave a ‘home’ to the posada before it continued its journey around the parish. Claudia Lewis, branch arranger said: “it was very special for us as a new business in the area to be included in the posada tradition. I was pleased to host and show off the figures at Lodge Brothers”.